Applying for a nonresident tag in a state far from home can leave you with an overwhelming feeling. Game laws with regards to tags are complicated and at times very confusing. It seems like every state is different and even differ from one species to another within a state. With that in mind, my Glossary of Tag Terms which follows should help you navigate the clutter by understanding what the terms mean. OTC: Over the counter tags are those tags which can be bought upon arrival. You can buy these tags at any license vendor that sells fishing and hunting licenses. Limited Entry Tags: Limited entry tags are given out based on a drawing. You must apply for a license during an application period, then a drawing is held on a certain day. Limited entry tags are used when the number of applicants exceeds the number of available tags. This may take place in a state or in a unit within a state. Unlimited Draw tags: With these tags, you must apply for the tag but there is no limit to the number of tags. You are guaranteed a tag if you apply during the application period, or in some cases, in time to receive it during your hunt. Random Draw: Some states have drawings that are totally random. All names are thrown in, each with an equal chance of winning. No matter how many times you apply, even every year for many consecutive years, your chances of drawing are the same as the person who is applying their first time. Some states will offer more tags to residents than nonresidents, so you are competing against those in your category. Because random draws are not seen as a fair system by many people (including me), most states have implemented a system of bonus points or preference points. Bonus Points and Preference Points: Some states use bonus or preference points when applicants exceed the number of tags available. Some states use the terms differently, but in general, a bonus point works like this. Each time you are unsuccessful, you are give a point which increases your odds of drawing. For all practical purposes, it simply puts your name in the hat an additional time. If you have been unsuccessful ten times, your name is in the mix ten times, and if you are applying for your first tag, your name is only in one time. Your odds are ten times better than a person with only one. These are used when the drawing takes place among the names of all applicants. Some states allow you to buy more bonus points to increase your odds. You could get drawn with no bonus points, but having more bonus points increases your odds of getting drawn. This system allows all people to have a chance, but the drawbacks are that you never reach a point where you are guaranteed a tag like you would with a preference point system. Preference points are used in cases where are the names are not “thrown into the hat” together. If you are unsuccessful in the drawing, you are awarded a preference point. Drawing from the names with the most preference points takes place first, then if there are tags left, the pool of names with one fewer point takes place and so on. 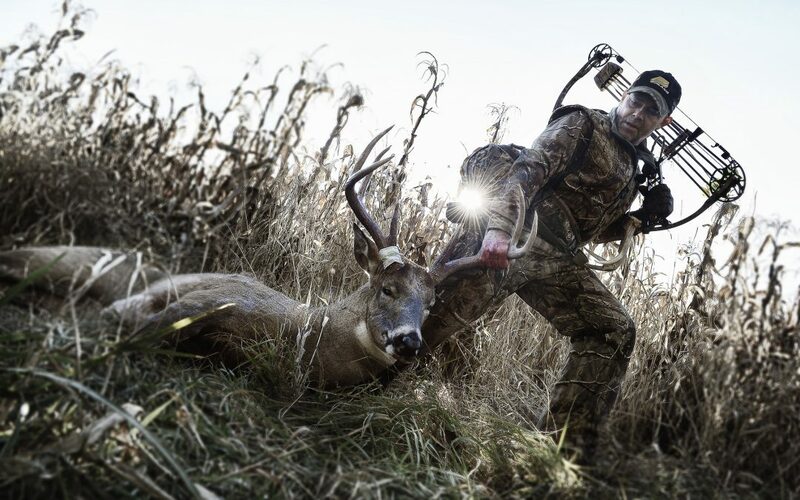 Iowa uses the preference point system for whitetails. 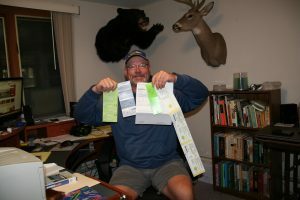 For a hypothetical example, if you were applying for a whitetail tag in an Iowa zone, let’s say there are 600 tags available and 1500 applicants. Some of these applicants (100) have four or more preference points. They will draw a tag which leaves 500 more tags. There are 400 applicants with three points which are awarded a tag, which leaves 100 tags. From the pool of applicants with two points, a random drawing awards those 100 tags. All persons who did not draw a tag are given another preference point which moves them up one tier the following year. Some states allow you to purchase one preference point each year. This way you do not have to apply for a tag if you have no chance of drawing. Once again, using Iowa as an example, the best zones require at least two points to draw. If you apply for a tag, you must send in $551 and wait to hear if you drew. They draw interest on your money for a few months before sending it back, while keeping an application fee. You can avoid this process by just purchasing a $50 preference point until you have enough points that your odds of drawing are good enough to justify sending in the entire fee. 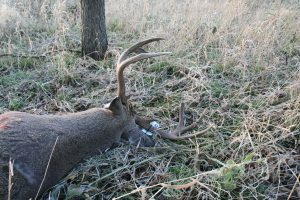 Using whitetails as an example again, some states have significantly increased the number of nonresident deer tags available to the point that you can draw every year without any points. Illinois and Kansas are good examples. At the time of this writing, there are more tags available in Illinois than the number of applicants so you can draw every year. That’s also true in some zones in Kansas. In Kansas, you would most likely draw whenever you want to but it’s not 100% for sure. If you want to hunt in a year or two, you could buy one preference point to have so when you do apply you would be guaranteed a tag. Surplus or Leftover, and Landowner Tags: In some states there are other options to buying a tag. If all tags are not sold in a given zone, they may be put back up for sale on a certain date, and you can purchase them without going through the application process. Likewise, some states require you to go through a drawing, and only if you are successful do you have to buy the tag. Some hunters apply for tags and are drawn, but do not buy the tags, either they forget, have an emergency or whatever. These tags also go on sale on a specific date. Surplus or leftover tags often sell out very quickly. At times they sell out within minutes of the time they are offered for sale. Landowner tags are becoming a thing of the past but some states still offer them. In this case landowners are issued tags as a way to keep the deer population in check on their property. At times, these tags are transferrable. If you can find a landowner with a tag or two, you might be able to buy it from them. Often outfitters lease land with landowner tags included in the lease, then sell those tags to clients. Zones and Units: These are terms that are used to divide a state into management areas, and tags are often allocated to each unit or zone in varying quantities. In many states the terms zones and units are used interchangeably. However, in some states, zones are within units or vice versa. Make sure you carefully check the state you are applying for to see how the terms zones and units are being used so you do not become confused and apply for the wrong area. Application Periods: The application periods vary by state, but all are in the first half of the year and involve applications for that year’s upcoming hunting season. The Western states tend to be earlier in the year, many beginning January 1st, and the Midwestern states tend to be in the spring. 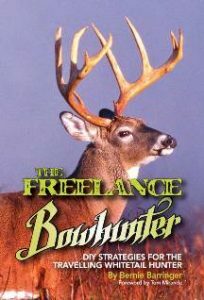 This article is condensed from the author’s book The Freelance Bowhunter: DIY strategies for the travelling hunter. I must say I find this article extremely helpful!And I will spread it to my friends to check it out.